The LeEco Super4 X50 Pro would be recommended for those looking to get a taste of 4K and HDR10 video at a comparatively affordable price tag. However, it is not without cutting corners and the fact that it still doesn't play 4K at 60Hz is a major downer. We’ve all read them, reports saying LeEco is down in the dumps, that the company is moving out of India and probably some fake news around it too. 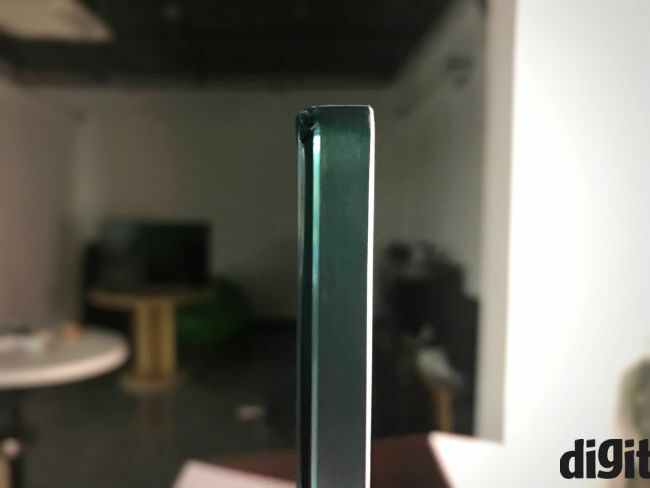 But when the same company launched the cheapest HDR TV in India, one had to stop and take a closer look. I, along with some other journalists, spoke to Alex Li, LeEco’s new COO for India, at the launch, receiving his assurances that the company has no intentions to leave. Truth be told, I was personally interested in the LeEco Super4 X50 Pro well before these assurances. If you’re reading this, chances are that you are too. That said, at Rs. 86,990 it’s still a lot of money for the average Indian buyer, and you and I both want to know whether we should spend on it. Here’s the lowdown. Compared to the last generation of its televisions, the Super4 looks strikingly simple. That is not to say it’s not an aesthetic design, it is, and it’s also well built. The Super4 X50 Pro isn’t like the wafer thin and fashionable televisions that Samsung, Sony and LG are selling. However, it’s easily at par with televisions in this price range. You get a fully metallic design, with sides that are neither excessively thick, nor wafer thin. Simply put, it works and it looks nice, if not absolutely premium. 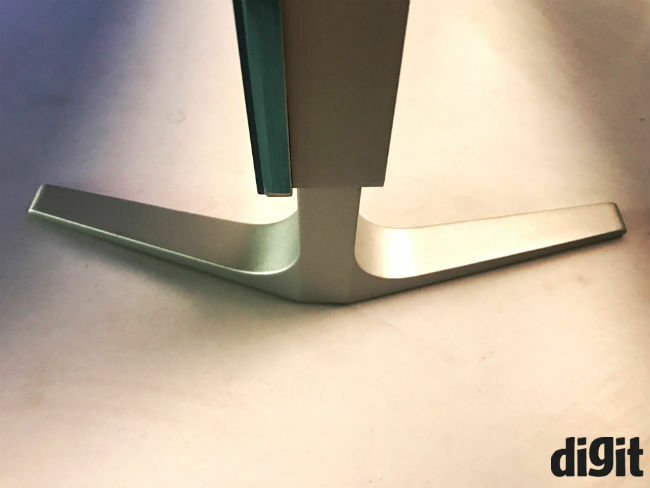 LeEco also got rid of the Yoga stand from the Super3 series, making this one simpler to assemble, but more utilitarian to look at. You get two regular stands, which almost literally slot into the bottom part of the TV and keep it upright, without wobble. Yes, you can wall mount it too. There aren’t really plenty of ports on the Super4 X50 Pro, but the company has made some smart choices. Firstly, both HDMI ports on this one are of the HDMI 2.0 standard, while both USB ports are of the 3.0 standard. While the HDMI ports are on the left side (at the back), one USB 3.0 port is placed below them. The other one is at the top of the TV, which means that at least one port is easy to reach. The TV connects to the Internet with both ethernet and WiFi connections. It supports 802.11ac and 802.11 a/b/g/n standards for WiFi, connecting to both 5GHz and 2.4GHz WiFi bands. Bluetooth 4.1 is also included, which is very important for the remote. Speaking of which, LeEco’s remote has always been quite interesting. It’s minimalistic, meant for navigation, without any fancy extra buttons, nor any number keys. Its TVs are meant to be used with the Internet, so LeEco is counting on your set top box remote to change regular TV channels. However, the interesting element comes in how the buttons work. The remote is actually operated using Bluetooth, but its IR module comes into play whenever you use the power button. 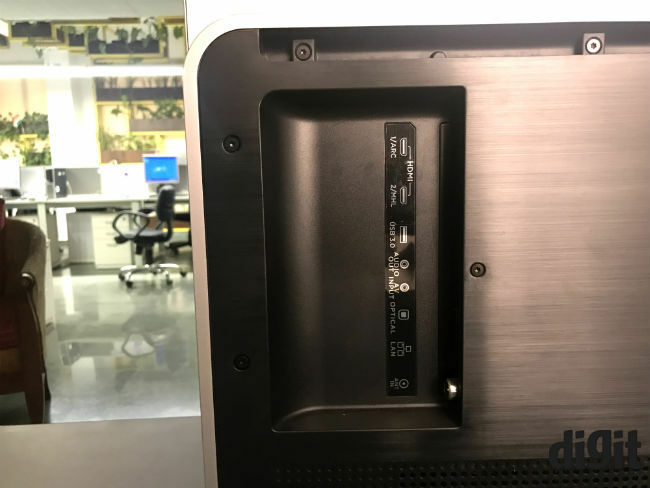 So, to turn the TV on/off, you’ll need to point it at the TV, while other keys work via Bluetooth, meaning you just need to be within range to operate the Super4 X50 Pro. To the brass tacks then. LeEco’s promise with its TVs is to bring premium quality at much lower prices than what a Samsung or Sony charges you. However, that hasn't really come without cutting corners. The LeEco Super4 X50 Pro delivers good picture quality for its price, but like its predecessors, don’t go expecting the same performance as on Sony, LG or Samsung’s premium TVs. The first thing you must know is that the panel’s native refresh rate for 4K video is less than 30fps. This isn’t a problem for regular users, but gamers or those watching sports in 4K, will see stuttery video. The video below shows Bioshock Infinite played on the X50 Pro at Ultra settings and 4K resolution. Lowering the graphics quality didn’t get us past 30fps either, that being possible only at 1080p. This is a problem we had observed in the Super3 series as well, and it’s a major trade-off that LeEco seems to be making. At this price, though, it is harder to forgive than before. We expected the Super4 X50 Pro to support 4K at 60fps, given that it also supports HDR10 video. Speaking of which, HDR on the LeEco Super4 X50 Pro does what it’s supposed to. But here again, premium TVs would do better, presumably because of better processors being used inside. HDR video looks better in terms of contrast, as it should, but it’s not as vibrant as Sony, Samsung and other premium HDR TVs. Frankly speaking, given the scarcity of HDR content right now, you’ll probably not care. HDR on the LeEco TV is decent, but not ideal. General picture performance is also decent, with slightly lower black levels than would be wanted. For those who watch good 1080p content, Panasonic’s Shinobi Pro produces better contrast at a lower price tag. Decent really is the best way to describe picture quality on the Super4 X50 Pro. Colours look good, but black levels fall quite dramatically with increasing brightness. Low black levels also lower contrast, which is fine, but could be better. If you do buy it, I’d recommend keeping brightness between 35-50% for the best viewing experience. We found the TV to fill 82% of the NTSC colour gamut, which is pretty close to LeEco's claim of 85% NTSC coverage. The 1.7GHz Mstar 6A938 SoC tries to upscale content to the best of its ability. Practically speaking, SDR content looks quite rich and good quality stuff, as on Netflix or many YouTube videos, look really nice, but with room for improvement. Generally speaking, this is the cheapest HDR10 capable picture performance that one can expect. 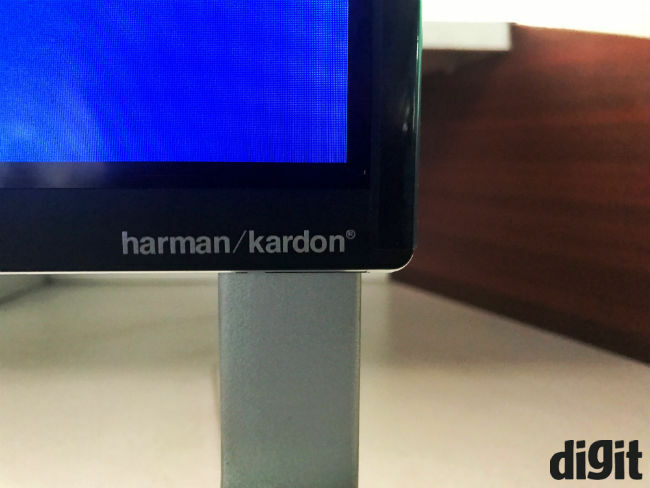 A notable change from the Super3 series is the Harman Kardon logo on the bottom right, signifying Harman’s involvement in this TV’s audio properties, tuning the two 10W speakers on it. And audio quality is indeed improved from the older generation. However, audio sounds hollow, and the TV doesn't do well with low frequencies. Needless to say, it's better suited to dialogue than music. To take an instance, explosions in action movies will lack the booming sound that they should have. As far as TV audio goes, this is still the industry standard for thin TVs. You'll do well with a speaker system to go with the X50 Pro, but it's loud enough for a large room, which is what most regular users would be concerned with. LeEco’s eUI functions somewhat like an operating system on its TVs. It’s a forked version of Android here, not to be mistaken for Android TV. While lack of apps was its achilles heel last time, it becomes more prominent this time. This is because LeEco’s content services have been mostly offline for a while, meaning you can neither download apps on the TV (not even popular ones like YouTube, Netflix or Hotstar), nor enjoy the Le services. 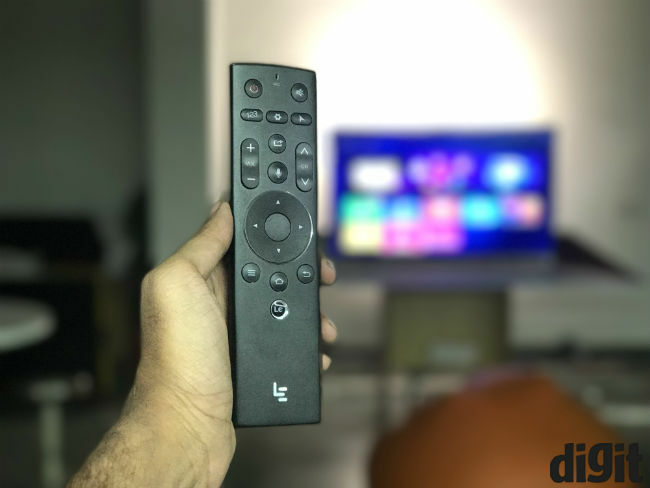 The Le button on the remote is pretty much useless for the moment, although Alex Li did promise that LeEco’s content services are returning soon. The interface is pretty easy to use, and LeEco puts 3GB RAM on this TV to make usage smoother. You press the right or left buttons on the remote to move between the Home Screen and the Live app. The latter plays live television content from LeEco’s partners, but pretty much all of that content seems to be in SD quality. The home screen gives you access to the LeVidi app and LeEco’s store. An excellent decision was to put 32GB flash storage on the television, which leaves you enough room to download apps, should the ecosystem improve in future. The cheapest HDR television in India is a decent television to buy. If you’re looking to experience 4K and HDR at a comparatively inexpensive price tag, I would recommend this television to you. However, as I mentioned above, Panasonic’s Shinobi Pro (49-inch) delivers better colours and viewing experience, and a more advanced ecosystem of apps. It’s a more value-for-money option for those who do not care about 4K or HDR video. Leeco le2 or Redmi note 3?